Following suit with last month's unveiling of the Nvidia GeForce GTX 980 and 970 desktop GPUs at Game24, Nvidia has today unveiled the mobile component of its Maxwell architecture with the GeForce GTX 980M and 970M gaming on-the-go GPUs. Similar to its desktop-bound brethren, expect the new line of GPUs to improve certain aspects of the rendering process – like multi-frame sampling anti-aliasing and dynamic super resolution – by nearly two-fold while keeping the bottom panels cool to the touch. 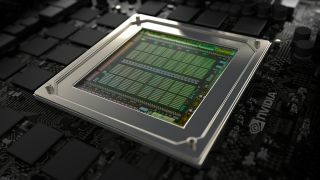 An Nvidia representative told TechRadar that gamers can also expect smoother performance during ShadowPlay and GameStream using the latest GPUs – a trick the company took from this year's mildly successful Shield Tablet. If you're looking to upgrade, you won't have to wait long. Maingear has already announced a refresh to its Nomad line of 17-inch slates (seen below), while rumor has it that companies like MSI and Digital Storm aren't far behind in their 980M and 970M-packed rosters, either. Still on the fence about a new GPU-infused laptop? Check out our best gaming laptops guide to find out which mobile PC gaming rigs currently make send our hearts aflutter.